VapCigs Blog- News about the Best Electronic Cigarettes on the market! VapCigs Electronic Cigarettes Blog – Stay Updated! Levitra 10 mg kopenSildenafil citrate 100mg and dapoxetine 60mgCialis discount offers F.A.Q. Simply add one of each flavor to your card and enter the coupon code “GoRenegade” at checkout. You will also receive a bonus coupon in your package for 10% off your entire next order! Classic Home made Rice Krispy Treats with a kettle corn finish. Fruity and refreshing. An exotic blend of mango, kiwi & a hint of blue sweet tarts. Simply add one of each flavor to your card and enter the coupon code “GoRenegade” at checkout to get both bottles for only $17.99 (thats $5.99 off the full retail price). You will also receive a bonus coupon in your package for 10% off your entire next order! 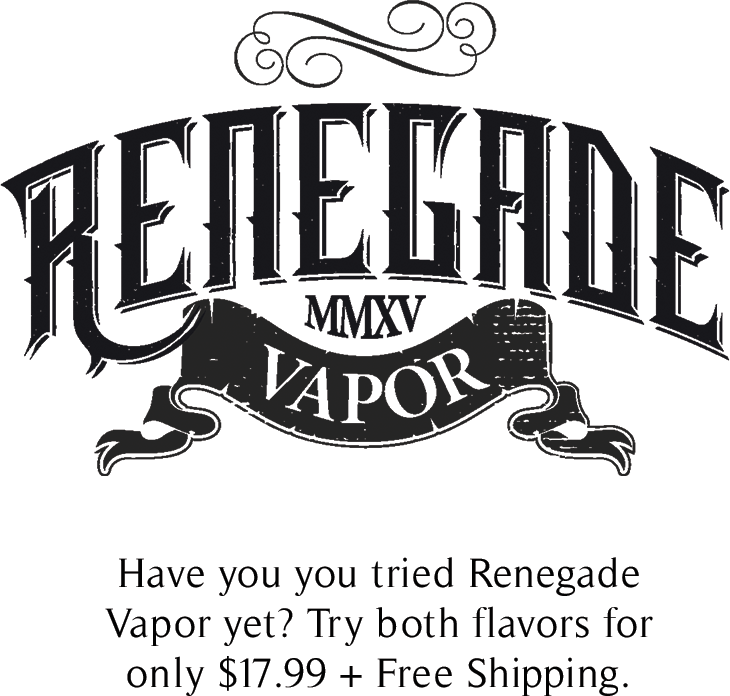 Renegade Vapor 15ml bottles regularly priced $11.99 each. Sales tax not included in advertised price. Limited Time offer. Cannot be combined with other offers. Coupon code one time use per customer, only valid on first two bottles purchased together. 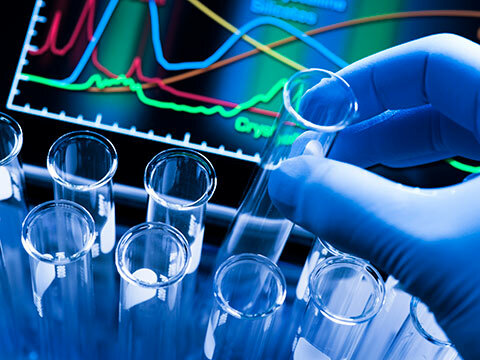 As e-cig legislation is debated, much research is being conducted on the safety of electronic cigarettes. A recent study in England seems to suggest that “Vaping is 95% less hazardous than smoking combustible cigarettes.” This fascinating electronic cigarette study has been the center of much discussion. A vaping advocacy group known as the American Vaping Association is calling for the US to re-examine its views on vaping due to this groundbreaking study in England. The 111 page government report provides some interesting conclusions about e-cigarette use. “My reading of the evidence is that smokers who switch to vaping remove almost all the risks smoking poses to their health,” said professor Peter Hajek of Queen Mary University. Hajek co-authored the report with professor Ann Mcneill of King’s college London. Because of this new information, the AVA is requesting US organizations and government agencies to reconsider their position on vaping. The AVA is also asking these groups to issue correct data clarifying previous misleading information. This is not the first study in the UK to come out in favor of vaping. US agencies have been much less supportive of e-cigs. Vaping enthusiasts can only hope this new study has some positive effect on government agencies. You can view the full report and documents from this study here. Electronic cigarettes have become quite popular over the last few years. Vaping offers the same satisfaction you get from smoking traditional cigarettes but without all the harmful toxins associated with tobacco. They don’t contain tobacco and the vapor you exhale is odorless, or savory in aroma, which makes them a great alternative to traditional cigarettes. However as with any product, you do need to use them responsibly. Read the user’s manual before using the product. Regardless of experience level, always read the instructions. They are there for a reason! Many people overlook this step assuming they know how to use e-cigarettes correctly but it does contain a lot of useful information, some of which you may not know. Keep your e-cigs, e-liquids and accessories out of the reach of children. Just as you wouldn’t let your child get your cigarettes, lighter and other tobacco products, you must also keep e-cigs and related products out of their reach. Nicotine is toxic and can be absorbed through the skin. This is very dangerous and could even be fatal to small children. Always purchase your e-cigarettes and e-liquids from a reputable distributor. This will ensure you’re getting quality products that function properly. The amount of heat the e-cigarettes produce does have a direct impact on how safe the product is to use, so it’s vital they work property. Low quality e-liquids can contain unhealthy impurities that may not be safe. Ask a few questions to determine your level of comfort with the shop.Some stores know little to nothing about the vaping products they carry, and are only looking for a sale. They often also carry the lowest quality hardware which can be more prone to breakage or malfunction. Leave these stores immediately and find one who knows their product. Vaping is safer than smoking tobacco when used correctly so keep these tips in mind when using e-cigs. It will help keep you safer so you can get the most from these products. Contact us to learn more about the different types of e-cigarettes available or if you have any questions concerning our products. E-cigarettes are becoming more and more popular as a low nuisance way to get your nicotine fix. Although they don’t carry the same noxious smells and toxic fire smoke, ecigs aren’t looked upon favorably everywhere, and some places have outright bans on vaping. A little courtesy and etiquette can go a long way when using electronic cigarettes in public and can help keep vape-friendly places free for other users. You’re facing a six-hour flight and no chance to step outside the terminal for a smoke, so can you use your e-cig on the plane? Officially, the FAA said in 2013 that carriers are free to make their own policies regarding vaping, but most large carriers will tell you no. JetBlue, American Airlines, Delta, United and Southwest all list electronic cigarettes as a no-go on their flights. If you’re unsure of your carrier’s policy or whether you can sneak a puff or two in the terminal, check with your airline provider or the staff at your airport. They’ll tell you if you can use your vaping device and where you’re allowed to do so. You’ve got a chance if you want to vape in a public business, as long as the business owners allow it. Even if there’s a state or city-wide smoking ban in effect, vaping doesn’t always fall under those rules. As e-cigarettes become more popular, business owners decide what is–and isn’t–allowed in their restaurants, bars, night clubs, bowling alleys and shops. If no clear signs are posted, you might be able to use your ecig in a public establishment. But then again, you might not. It’s always better to err on the side of caution and ask. If other patrons ask you to stop, think long and hard before telling them off. Instead, be courteous, rather than confrontational or defensive. Acting in a composed and civil way could help decide that establishment’s policy on vaping. If you’re kind and polite, you might just keep the right for other vapers to indulge. Gone are the days where you could walk down any city street and smell the trail of a businessman’s stogie, trailing for blocks as he walked home from work. Smoking bans and anti-smoking laws have put the kibosh on this, but ecigs are still a legal gray area. Different locations have different rules regarding the legality of smoking–and vaping–in public streets, walkways and parks. While there’s less problem with vaping in open spaces, some people still might not like it. As long as it’s legal, simply move to another location and continue on. You’re not hurting anyone else, and there’s little to no emission for them to worry about. Even if your apartment has a no-smoking clause in the lease, it’s pretty safe to say you can vape in peace. Vaping doesn’t leave cigarette stink in the air, smells don’t travel through the vent systems to irritate your neighbors, and there’s no nasty tar stains to clean off the walls. Your landlord likely won’t know and you won’t lose your security deposit like you would if you were smoking traditional cigarettes. As laws and regulations change and e-cigarettes become more popular and recognized, the rules are subject to change. Keep abreast of any changes in your area to figure out where you can and can’t safely vape. This isn’t the definitive guide, always use discretion and make your own informed decisions. Please always be courteous to others. Remember that acting confrontational towards a person who may not understand vaping tends to only make yourself and the rest of us look like jerks. Be polite and patient, and if they’re interested in learning about it, share some information. If they aren’t, leave them alone and find a place to vape that isn’t bothering others. If you have any questions or want to share a vape-friendly location, contact us. We’d love to hear from you! If you’re looking to get into e-cigarettes, in the midst of doing your research you’ll see that there is a lot of back and forth about whether they can be good for your health. Most articles are based on opinion and personal experience, rather than evidence from health studies. When deciding if e-cigarettes are right for you, consider the research over the misinformation campaigns. While it’s known that actual cigarettes contain tobacco and that it’s a known carcinogen, Big Tobacco and Anti-Tobacco groups alike have successfully spread campaigns to suggest that e-cigarettes just as, if not more harmful than the traditional ones. Michael Siegel – a physician and professor of community health sciences with an extensive background in tobacco control – is hopeful that e-cigarettes will help smokers quit. It is important to note that the addition of nicotine, another addictive substance, is optional to add in e-cigarettes. As research continues to expand, the health of effects of e-cigarettes are continuing to be explored, as well as their positive impact on the smoking population. It’s important to think about your smoking habits, and whether you want to have them if you don’t already. Asking questions about why you’re smoking/vaping or why you want to begin, doing your own research making your own informed decisions is key. Contact us for more information on e-cigarettes and to share your experience. Vaping in pop culture is more popular than ever. During the 2014 Gold Globes award show, Reese Witherspoon and Julia Louis-Dreyfus were part of a comedy sketch. The humorous part of the sketch involved Julia Louis-Dreyfus vaping and pretending to be too good to sit with the other celebrities around her. The popular Netflix series House of Cards features Kevin Spacey’s character vaping as a way to give up his cigarette habit. Ecigs have also made an appearance on the Late Show with David Letterman. Katherine Heigl was a guest who enjoyed her ecig during her interview. Electronic cigarettes have also gained popularity among other celebrities to include Leonardo DiCaprio, Katy Perry, and Lindsay Lohan just to name a few. Many celebrities have given up smoking cigarettes for the cleaner alternative of ecigs. Some are using vaping to help kick their tobacco habit. Actor John Cusack uses his ecig as a head turner to grab people’s attention in public. Other celebrities have even gone on to endorse specific brands of ecigs. Jenny McCarthy and actor Stephen Dorff promote their favorite brand. Singer Bruno Mars has invested in another electronic cigarette company. It is not surprising that the entertainment industry is displaying more ecigs in film and television. Using electronic cigarettes in public still manages to capture the attention of people who are not familiar with them. However, vaping is quickly becoming a part of pop culture and more than likely will show up in more television shows and major motion pictures. Contact us today to learn more about our eCigarette supplies, kits, and vaportizer parts. Which Eliquid Flavors are Right For You? Sometimes trying to find the right eliquid flavors can make you feel lost at sea. Let us throw you a lifeline, as we guide you to just the right one for you! First you should know about what is in the eliquid flavors we sell. Every eliquid has ingredients that are food grade or medical grade only. This means you are getting ingredients of the highest quality that are created in a safe, hygienic environment. When it comes to flavors, there are quite a few choices. Tobacco and Menthol Flavors. These are your more traditional flavors that are perfect for those who want a similar taste to what they are used to. Flavored Eliquid. When it comes to flavored eliquid, the sky’s the limit. You can choose from fruits like Grape, Mango, and Melon. Drinks like VC Cola, Dark Rum, or Coffee. There are even dessert flavors like Chocolate and Snack Bar. E-Hookah Flavors. These flavors were made just for the VapCigs E-Hookah E-Cigarette and come in five mouthwatering flavors: Cherry Orange Zest Suspense, Chocolate Dipped Banana Romance, Cocoa Mint Cream Scandal, Hazelnut Cappuccino Conspiracy, and Mint Lime Splash Confession. We carry over 20 flavored eliquids along with the traditional tobacco, E-Hookah, and menthol flavors and each one allows you to refill your own cartridges. These flavors are compatible with all brands and models of electronic cigarettes so you don’t have to worry about finding one that fits your particular device. If you have any questions or simply want to learn more about our Eliquids or any of our other products, please Contact Us. What are the ingredients in eliquid? VG (vegetable glycerin) – This is the ingredient that creates the vapor. It is commonly used in fog machines for the same purpose of creating vapor. PG (propylene glycol) – This is a food grade propylene glycol that is also used to create fog as well as deliver flavor.Propylene glycol is found in everything from beers and sports drink flavor shots to cake frosting. It is also responsible for the “throat hit” when vaping. Flavoring – The flavoring used in eliquid is simply food flavoring. It is precisely the same thing you might use to flavor your cupcakes. It is completely edible and safe. Nicotine – This is an optional ingredient. Most people choose to vape with nicotine included. However, some people do prefer eliquid with 0mg of nicotine. The eliquids are made with varying levels of nicotine, so you can pick the amount you are most comfortable with. VapCigs eLiquids come in a 40/60 mix of VG and PG. Meaning, it’s base is 40% VG and 60% PG. If you want more vapor and less of a threat hit, you can get eliquid with a higher VG concentration and lower PG. Alternatively, if you prefer experiencing a stronger throat hit like that of a traditional cigarette and do not mind having less vapor, you can get a higher concentration of PG and less VG. Some eliquid flavors contain an innate throat hit. These include things like menthol, peppermint, cinnamon, citrus, and other similar flavors. Choosing your nicotine level is really a personal choice. Most users switching from a “Full Flavor” might want to start with an 18mg or 27mg, while those who use “lights” are likely to be more comfortable with 13mg or less. There is an enormous selection of eliquid flavors. Most beginners start with tobacco flavors until they get used to vaping. Contact us for more information and assistance regarding your e-cig needs. The Hookah fad has been on the rise for the past several years. Whether it’s the reignited flame (pardon the pun!) for Alice in Wonderland’s iconic Caterpillar, or this generation’s attempt to turn away from cigarettes- we are hooked! Until recently though, hookah usage was sort of limited. Either you had to service, clean and maintain your own hookah and tube, or you had to visit a hookah bar and pay large minimum fees. Not anymore! E-hookahs allow hookah usage to change with the times. Much like e-cigarettes, e-hookahs are pen-like devices which allows you the freedom to enjoy your shisha wherever you’d like. E-shisha comes in multiple enjoyable flavors and varying nicotine levels from 0-18mg. Ehookahs are conveniently small and do not require any coals or an outlet to plug into. Just charge your device’s battery and go! Now, any time can be turned into a relaxing shisha-smoking experience without expensive and dangerous hot coals. Why are E-Hookahs Such a Great Alternative to Cigarettes? They are flame-less, exude no second-hand smoke and don’t leave you smelling like an ashtray. They are also ash free and tar free, making them a greener, cleaner alternative. Additionally, you can customize your e-hookah to satisfy your taste buds. Changing flavors takes only seconds. Quick changes allow your e-hookah experience to be as unique as you are. If you’d like more information on this shisha revolution please contact us! We’d be happy to ship you your very own ehookah along with one or all of our delicious shisha flavors: Cherry Orange Zest Suspense, Chocolate Dipped Banana Romance, Cocoa Mint Cream Scandal, Hazelnut Cappuccino Conspiracy or Mint Lime Splash Confession! If you are currently a smoker, chances are you have thought about alternative methods of smoking. 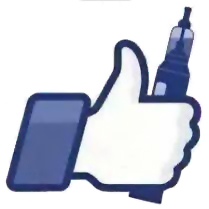 More and more, people are finding that electronic cigarettes are a great alternative to regular smoking. These are a few of the benefits you would find by trying it for yourself! You no longer have to worry about a smoke smell. Electronic cigarettes are virtually smell free! You can even choose from over 20 different flavors to make your experience even more pleasant. Depending on how much you smoke, a cartridge will last you a lot longer than traditional cigarettes. Once you purchase your starter kits, you only have to choose from our delightful selection of flavors and customizable nicotine levels! You can anticipate spending close to half of what you do now monthly on cigarettes! By using your electronic cartomizers, you are reducing waste and being eco-friendly. Considering that cigarettes are a big source of litter and waste, this product does not require any materials to be wasted. Recent studies have looked into the health benefits of the electronic smoking method. Many agree it is less of a health risk because you are not inhaling smoke into your body, but vapor which can be less harmful. With the look and feel of our electronic cigarettes, we guarantee your satisfaction with your product. Browse through some of our starter kits and see for yourself the new and exciting alternative to smoking! You can even customize your case and choose from various nicotine levels, even a nicotine free option! Discover the convenience of e cigarettes today! E-cigarettes are not approved smoking cessation devices, nor are they advertised as such. These statements have not been evaluated by the Food and Drug Administration. This product is not intended to diagnose, treat, cure or prevent any disease. VapCigs makes no medical claims. Articles on this blog are copyright by Vapcigs.com and cannot be used without permission.